Dozens of people were sickened by norovirus after eating at the Chipotle Mexican Grill in Brighton’s Cleveland Circle earlier this month. 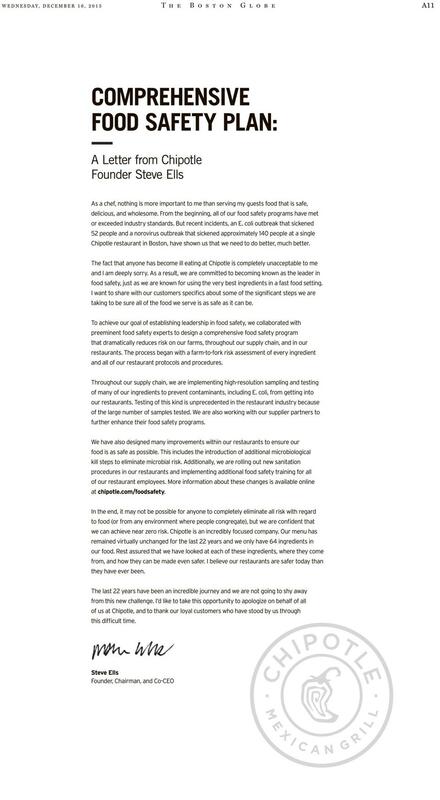 Chipotle Mexican Grill’s founder and CEO is sorry about the chain’s recent health outbreaks that sickened dozens, and he wants everyone to know. 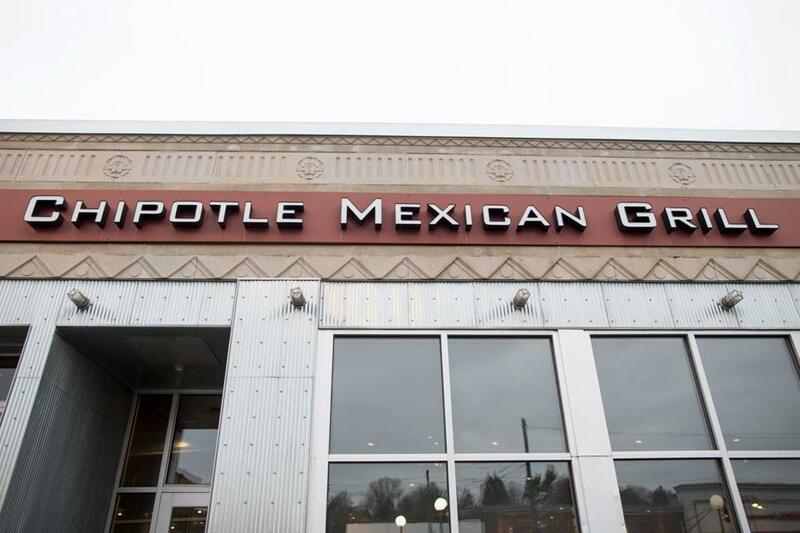 The fast-food chain has seen a series of health woes, including an outbreak earlier this month of norovirus linked to the Chipotle location in Brighton’s Cleveland Circle that sickened about 140 people, many of them Boston College students. Boston health officials later cited the restaurant for two health violations: improper handling of poultry and the presence of a sick employee. The chain also last month closed 43 restaurants in Washington state and Oregon after linking some restaurants to an E. coli outbreak, which sickened 52 people, according to Ells’s ad. 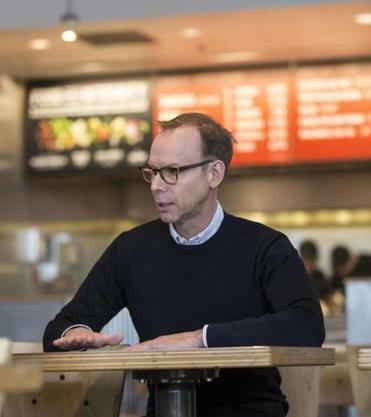 Chipotle Mexican Grill founder and CEO Steve Ells. “The fact that anyone has become ill eating at Chipotle is completely unacceptable to me and I am deeply sorry,” Ells wrote. This isn’t the first time Ells has humbled himself and his company in front of a large audience: He also apologized in an interview on NBC’s “Today” program earlier this month.